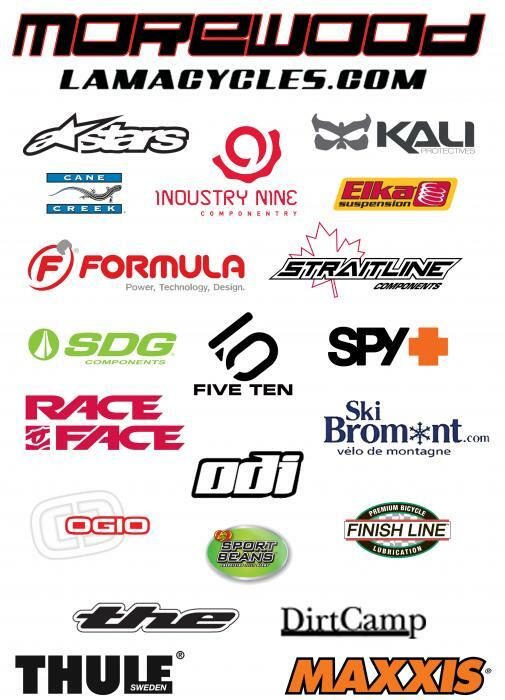 Lama Cycles, the Canadian distributor for NS Bikes, Morewood Bikes, Industry Nine, Kali Protective and Straitline Components is proud to announce its official DH team for 2010. 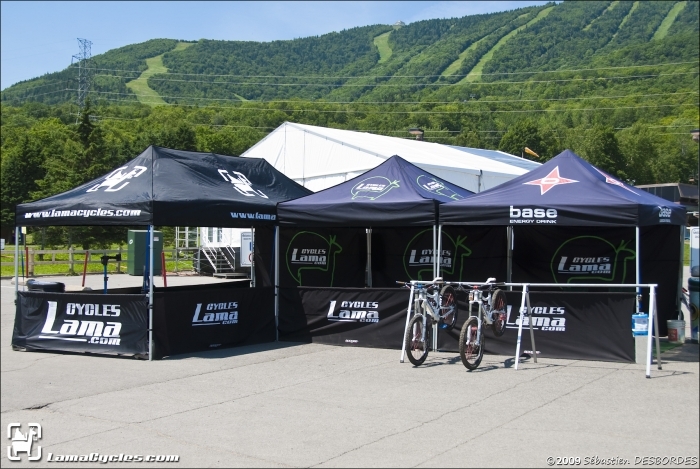 For a fourth year in a row, the Lama Cycles team will take part in the Quebec Cup events, the Canada Cup events, BC cup events and will also be attending the two North American World Cups. 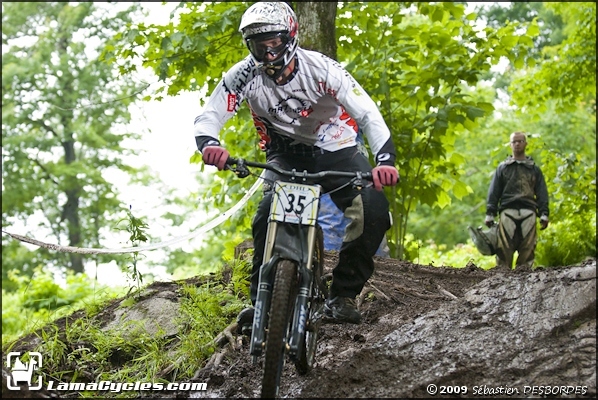 Throughout the 2010 season, the team will be training for these events on their Morewood Makulu Bikes at the local DH hill, Bromont. The team's main goal is to offer the best possible exposure for its athletes and to further their recognition and reputations on the provincial and national cycling scene. By offering professional support, Lama Cycles contributes to athlete's constant progression and motivation. 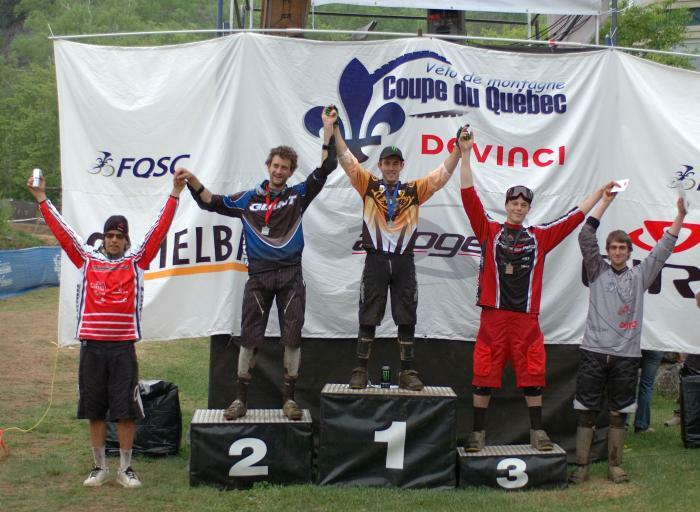 For the past 3 years, the Lama Cycles team has ranked amongst the best in both Canada Cup and Quebec cup events. "Motivated by the building momentum, we selected the 2010 racers for their ambassadorship, personality, dedication to the sports and their race results. It is hard to find good hearted fellow sportsmen who share the same values and aspire to the same goals. To team up with down to earth racers who know what they are talking about and aren't afraid to be the leaders they are, or have become, makes all the difference. 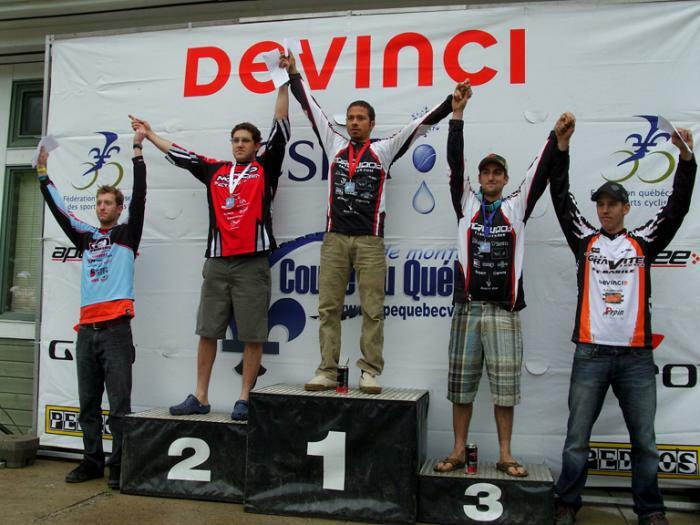 We believe it is this difference that sets apart the good teams from the remarkable ones"
Lama Cycles is proud to announce Yann Gauvin on the 2010 team roster. 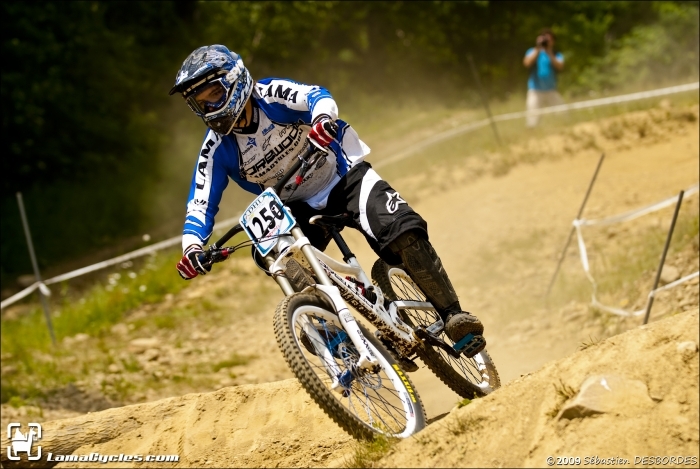 Lama Cycles is proud to announce Franck Kirscher on the 2010 team roster. Franck started racing MX, in France, in the Amateur category at the age of 18 years old until he was 22. 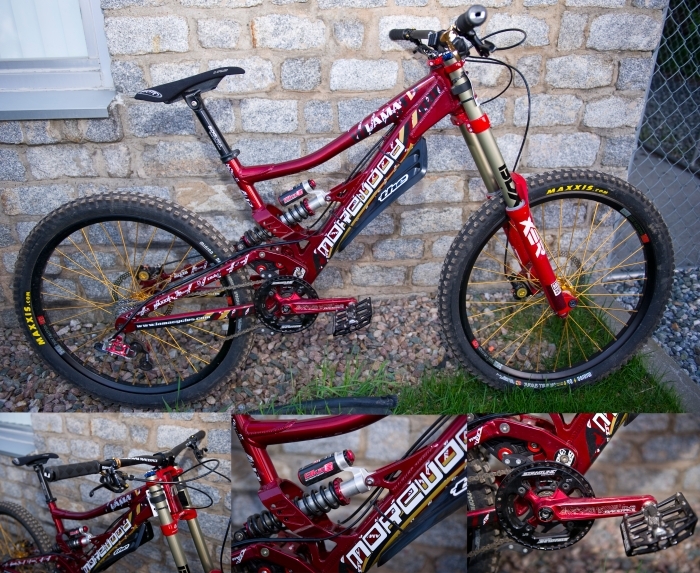 He then switched to DH racing in 2006. From then on, he strived for the top of the podium even though the competition was very high in his country. He was vice-champion in his region and achieved top 25 in the Elite category in the French Cup series. 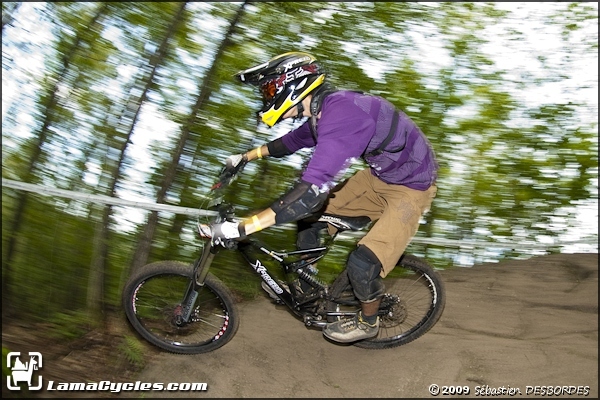 Franck traveled to Quebec in 2007 and immediately liked the Canadian downhill racing scene. 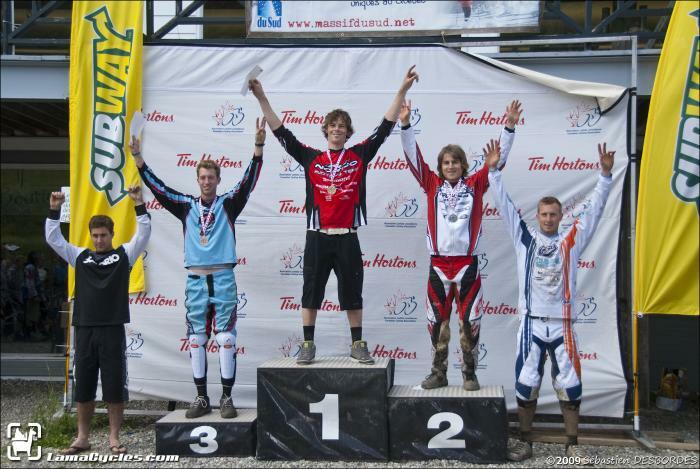 Lama Cycles welcomes the young gun, Guillaume Labrie, for a second year in a row. 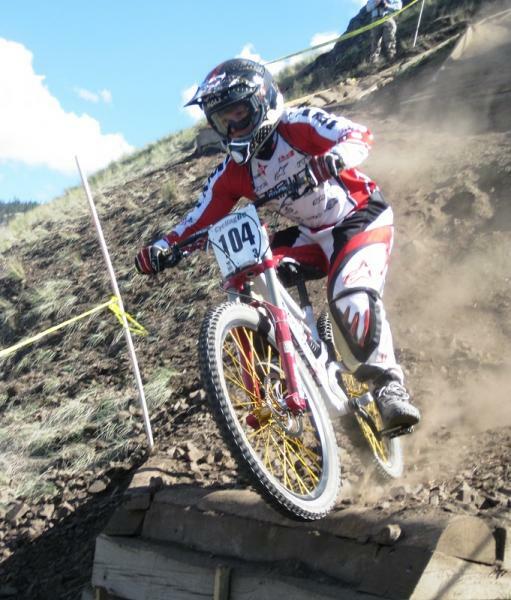 Lama Cycles is proud to announce Sky Gustin on the 2010 team roster. In addition to last year team mechanic, Alexandre Ouelette, we are proud to add experienced mechanic JP Simard to our team. 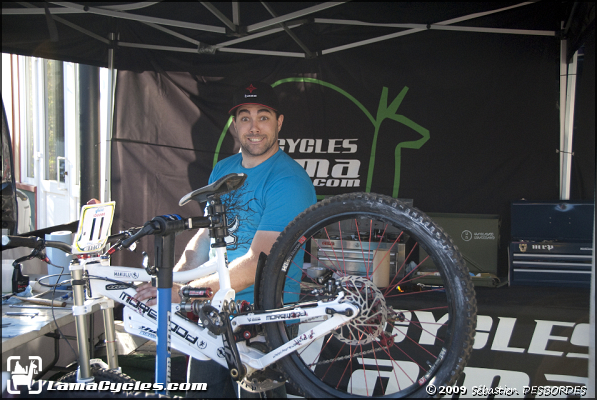 JP will take care of Yan's and Franck's DH bike while Alex will take care of Guillaume's and Sky's bikes. Needless to say, their mechanic and racing experience should add to the prestige of our race program. This success is only possible with the best products, riders and support out there. We would like to welcome our new sponsors to the Lama Cycles team for 2010 and thank continuing sponsors for their commitment to the program. In addition to Lama Cycles distribution co. and Morewood Bikes, the Lama Cycles team is sponsored by Industry Nine, Kali protectives , Straitline Components, Formula Brakes, Alpinestars, Elka Suspension, Maxxis Tires, Spy Optic, SkiBromont.com, Cane Creek, Finish Line, ODI, SDG, , sport beans, OGIO, THE, Race Face, THULE, Dirt Camp.ca.